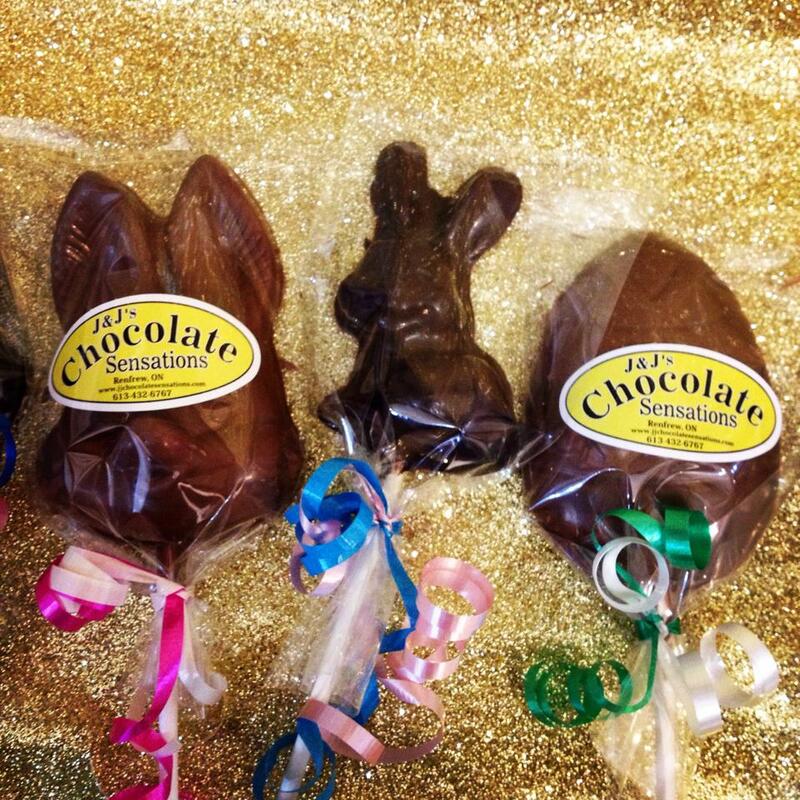 All available in milk/dark chocolate, and No Sugar Added! 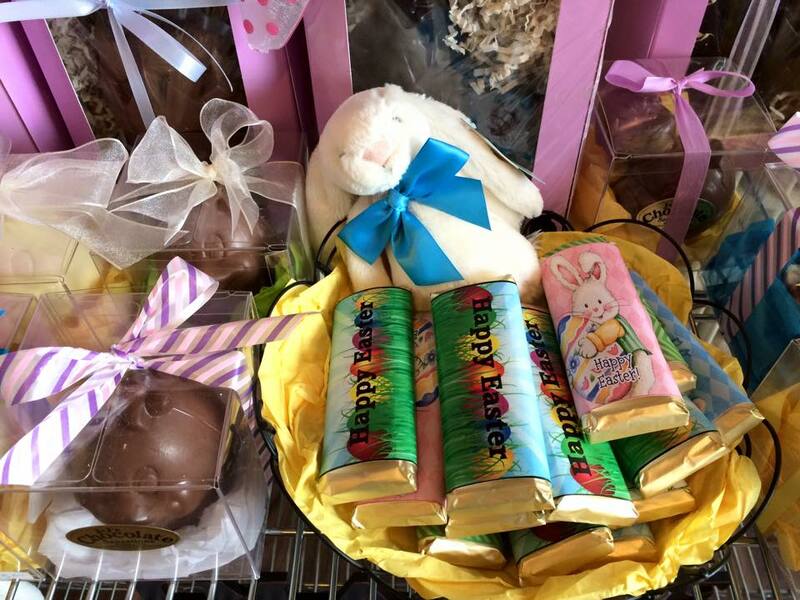 We offer a variety of chocolates for every-bunny! 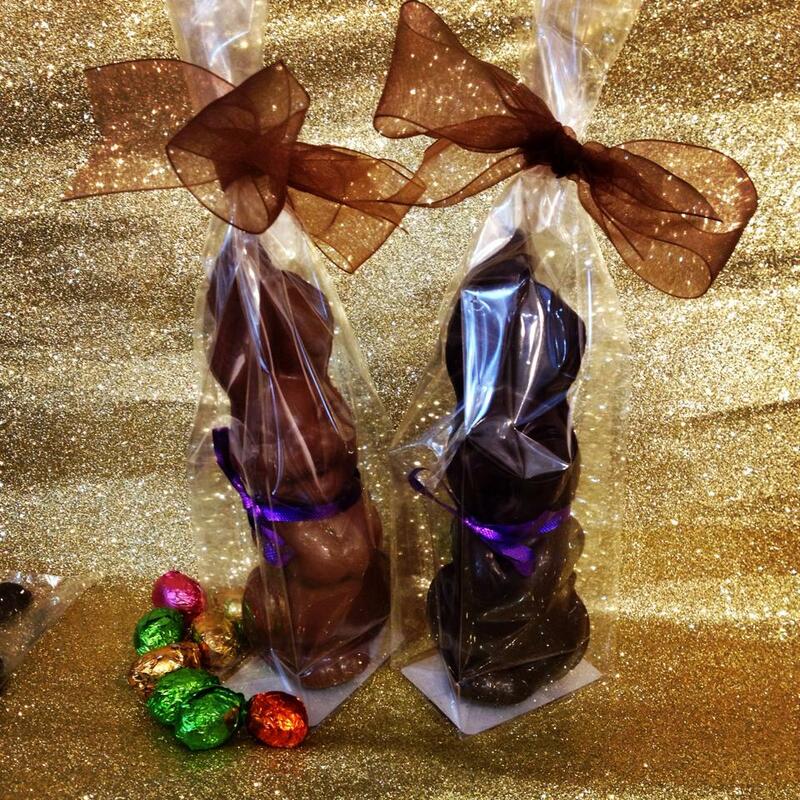 Here are our chocolate eggs that are filled with our caramels, meltaways, easter candies and Easter themed chocolates. 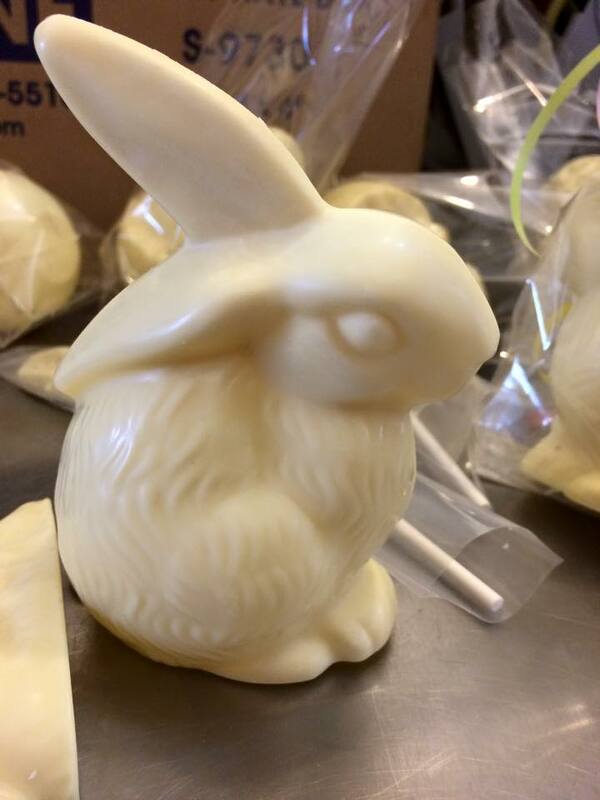 Available in milk/dark/white chocolate, as well as our belgian no sugar added chocolate! 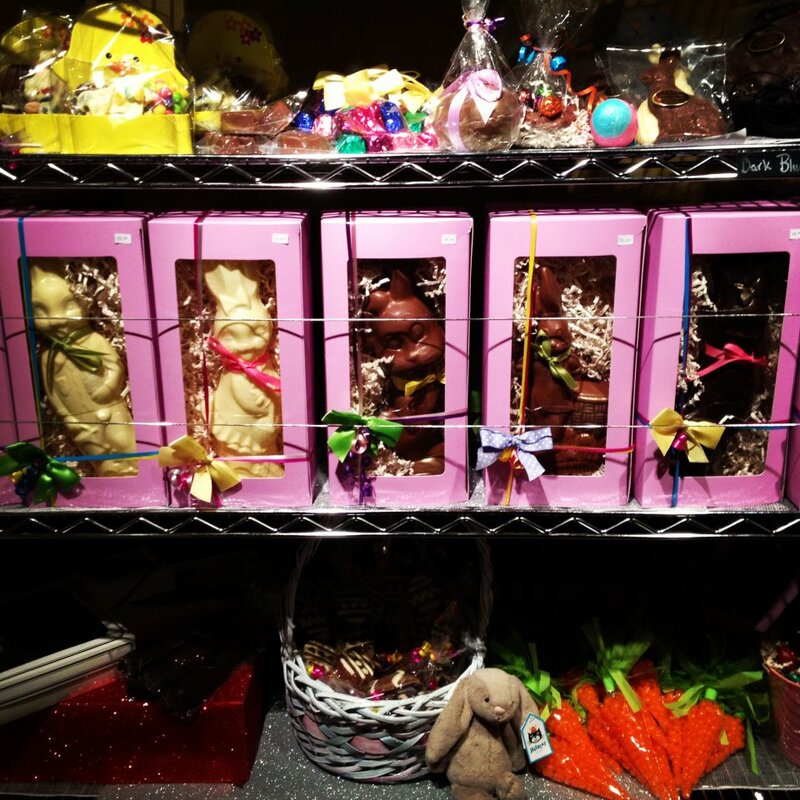 All of our chocolates are handmade. 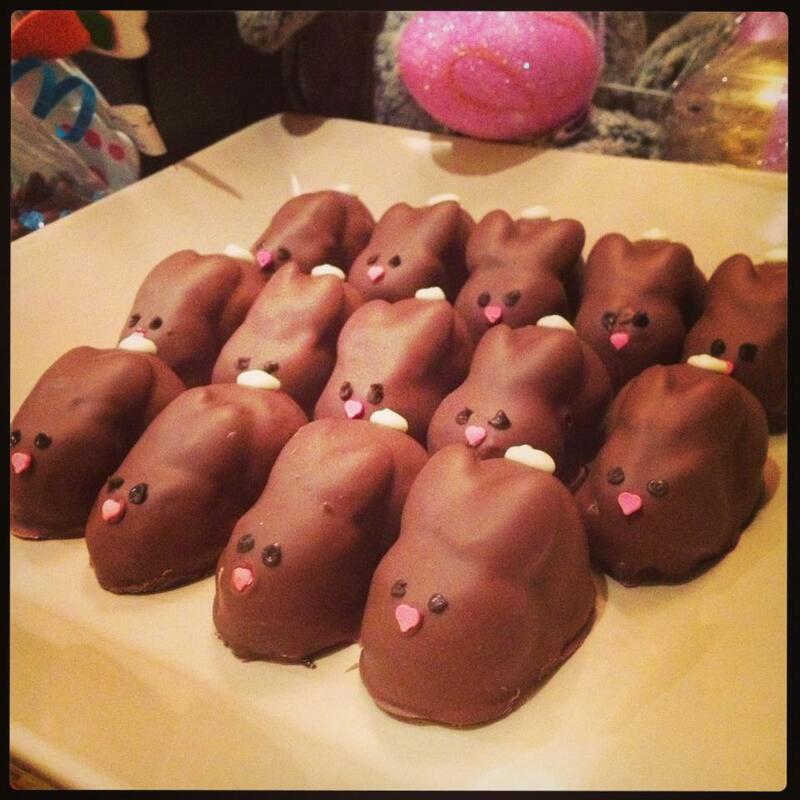 Easter bunny truffles - almost too cute to eat (key word: almost). 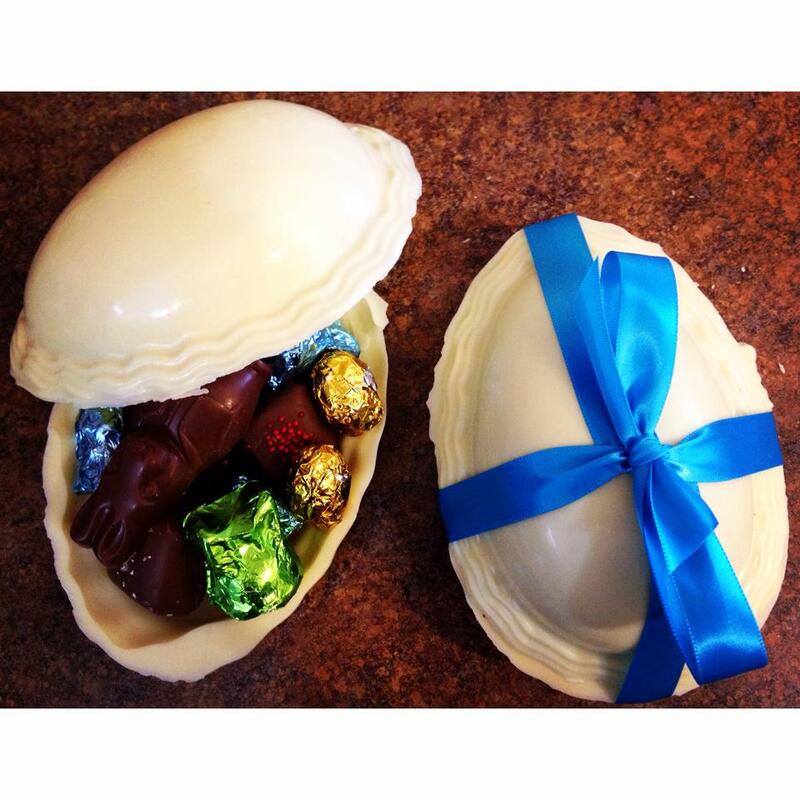 Our chocolate/candy filled easter eggs! 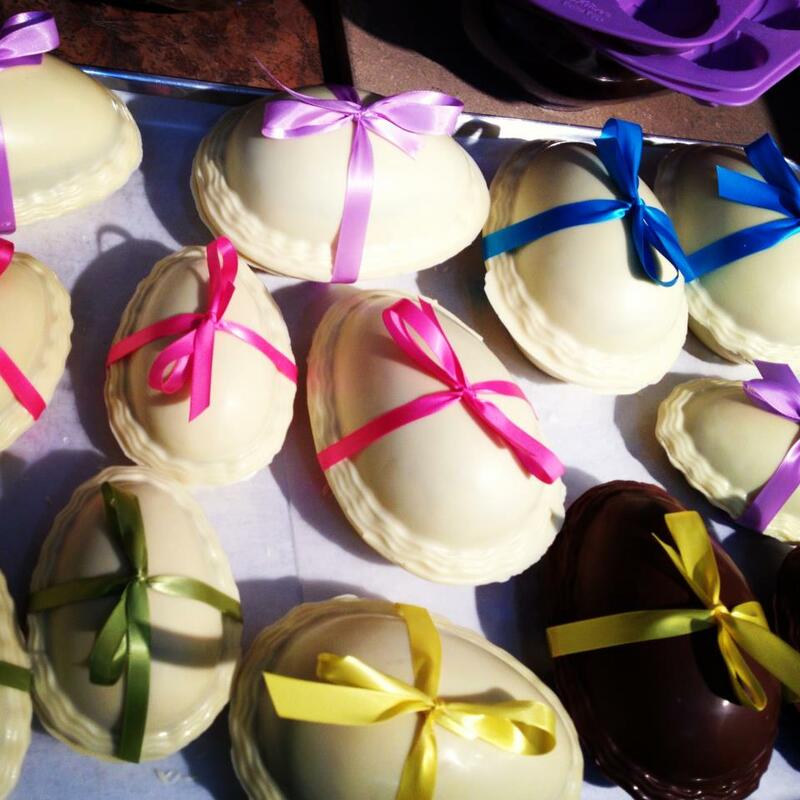 They come in two sizes (medium and large) and they are filled with our most popular chocolates and other delicious treats! 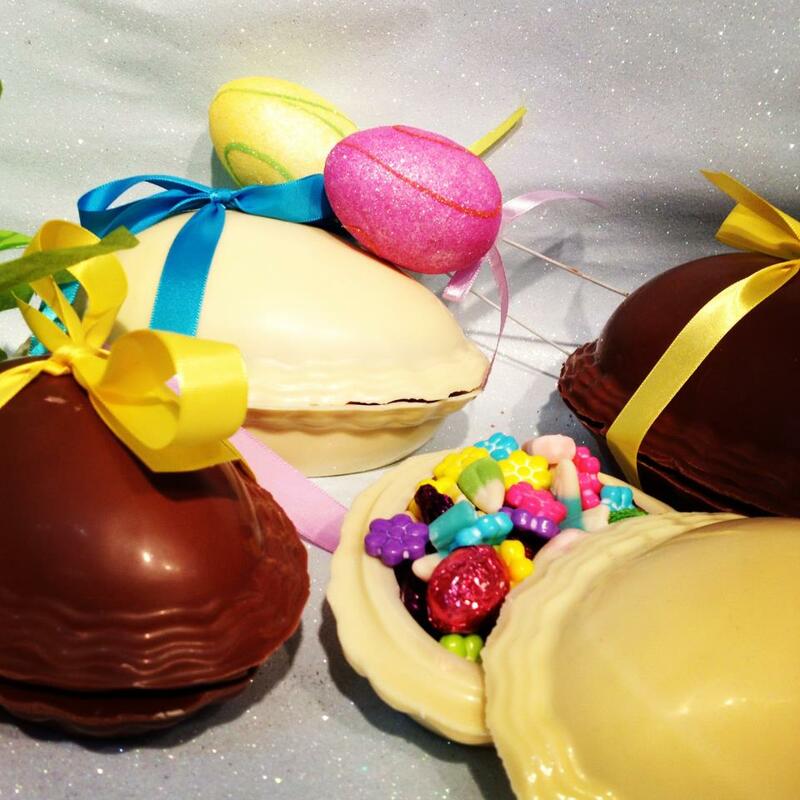 These eggs are often decorated with coloured ribbon, but they can also be personalized with names! 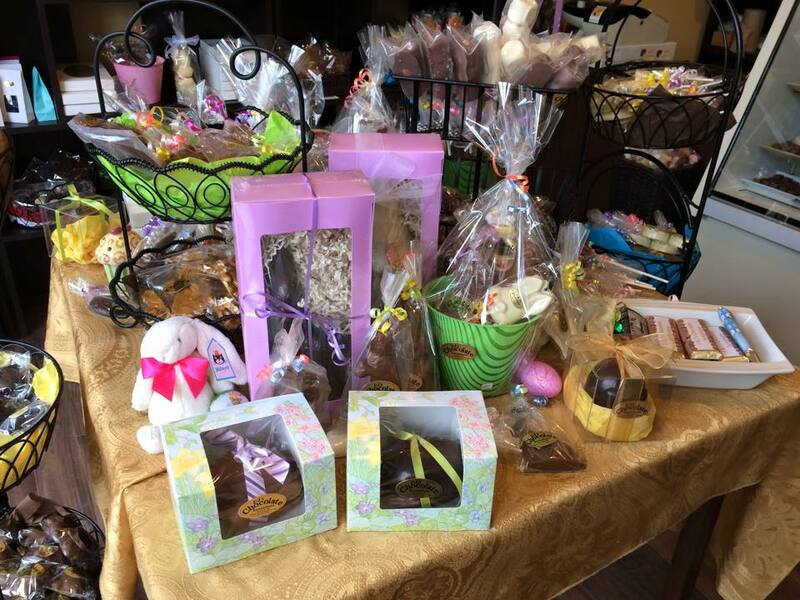 Pictures of our storefront during Easter! 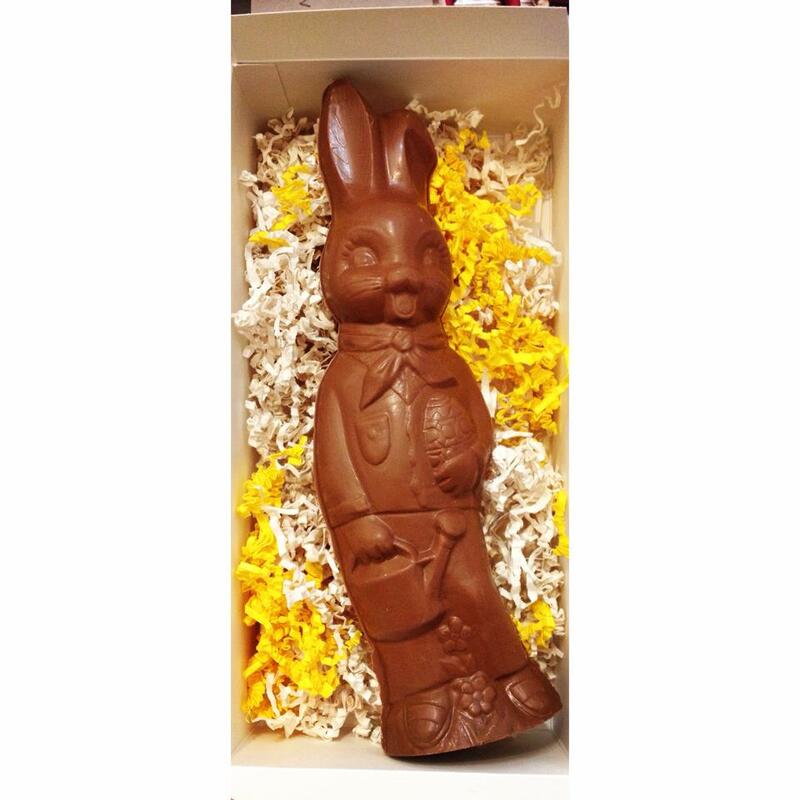 We have small hollow bunnies available as well. 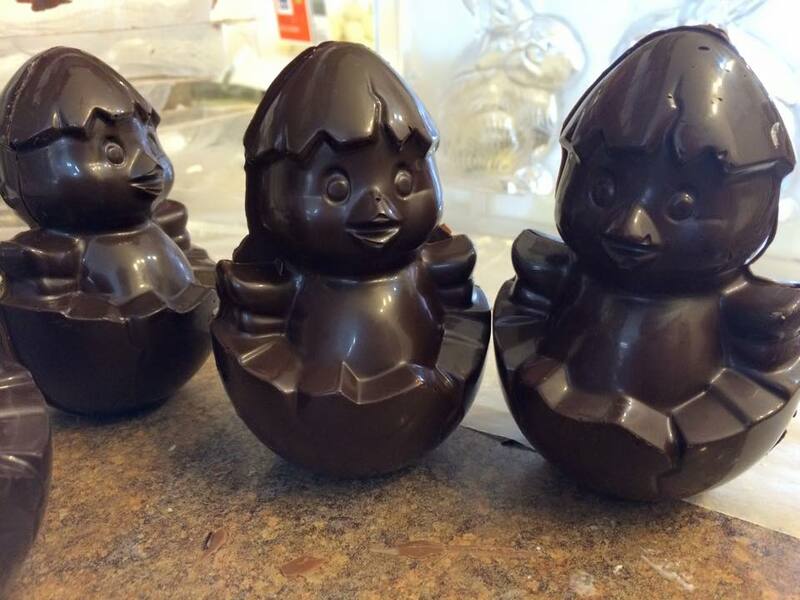 Some of our chocolate suckers! They all range in price depending on their weight. 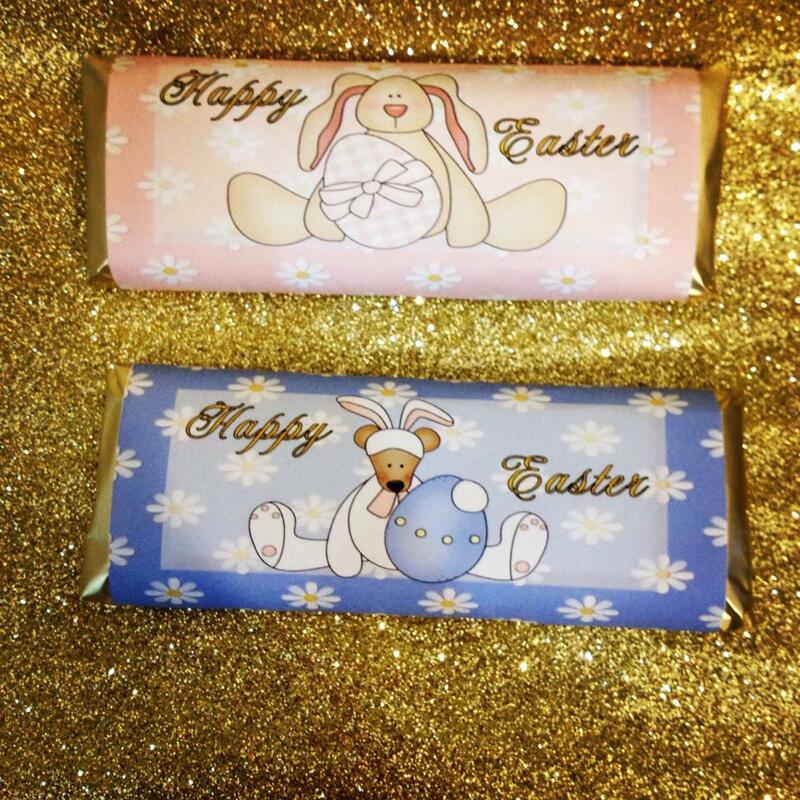 We can also provide personalized chocolate bar wrappers (must be ordered in advance for names, etc.). 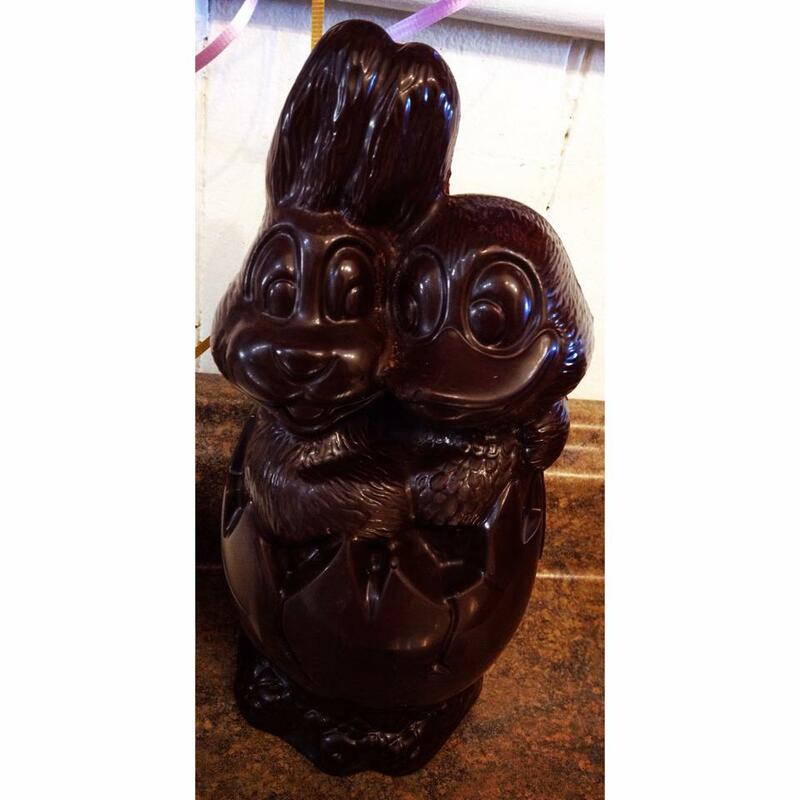 One of our most popular Easter moulds (duck and bunny). 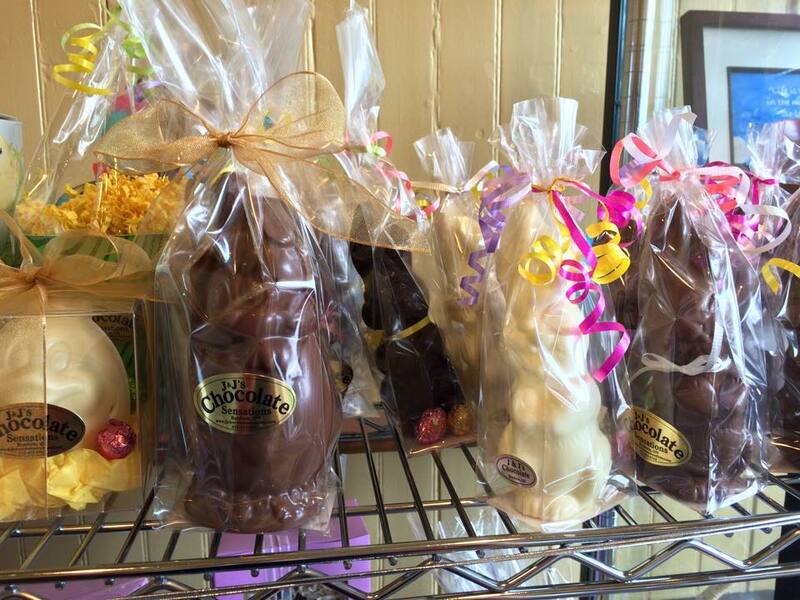 Available in every type of chocolate we offer. 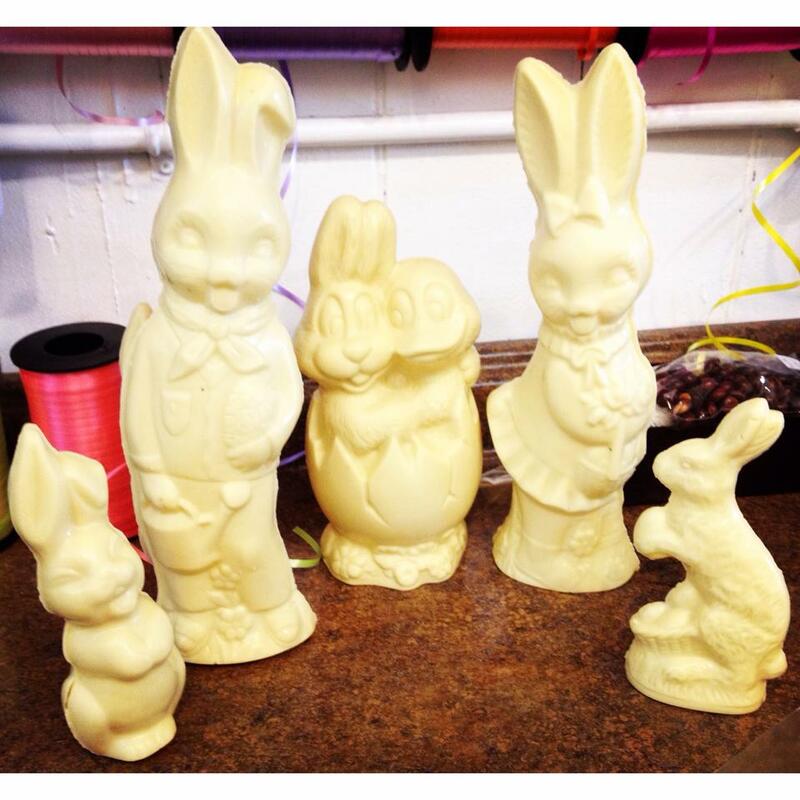 Some of our hollow Easter bunny moulds! All ranging in price because of different weights. Some of our most popular small hollow moulds! 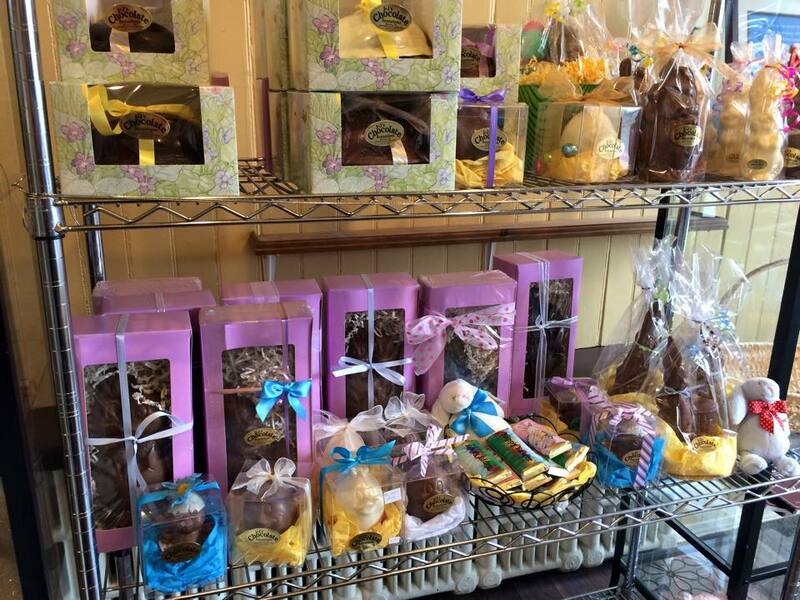 Some of our storefront at Easter. 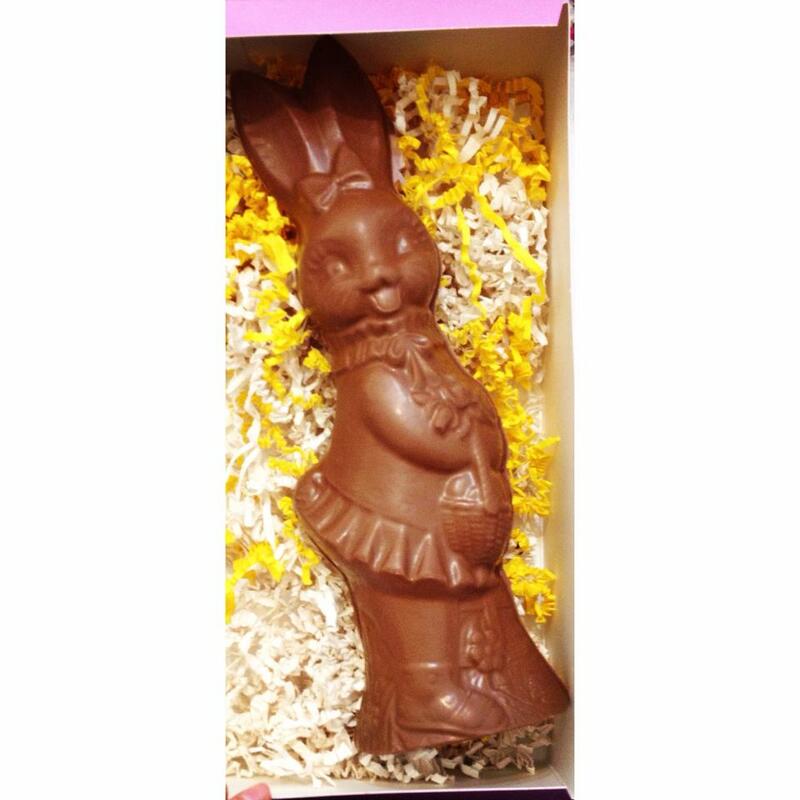 Hop to see you at Easter!